I spend 15% of my time with resources from trainers I have never heard of. I spend 10% of my time with resources that I completely disagree with. This system has been the secret to my success. philosophy or exercise program that, at face value, I have no use for. How different is that from most kids fitness trainers? agree with, or do you brush them off as ‘not worth your time’? I can never learn enough. I disagree with, one of two great things happen. how is that anything but a positive experience? The 15% category is reserved for trainers that I have never heard of before. try to become well known. They just train people and then publish what they know to be true. Professionals like David Jack and Carlos Alvarez come to mind. Strength Coach for a prominent high school in Ohio. 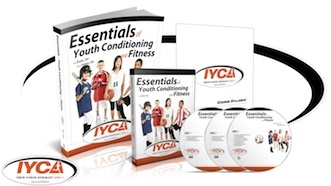 sports and kids fitness programs— and they do so successfully. High School Champion football program. They don’t ‘beat their own drums’. how to develop top level athletes. And they’re both speaking at my International Summit in February. Two guys in your 15%. Two guys who know exactly what it takes to be the best.